Crocheting and pastels go so well together. And pastels are so popular this year. They are used in the fashion industry but also in home decorating. 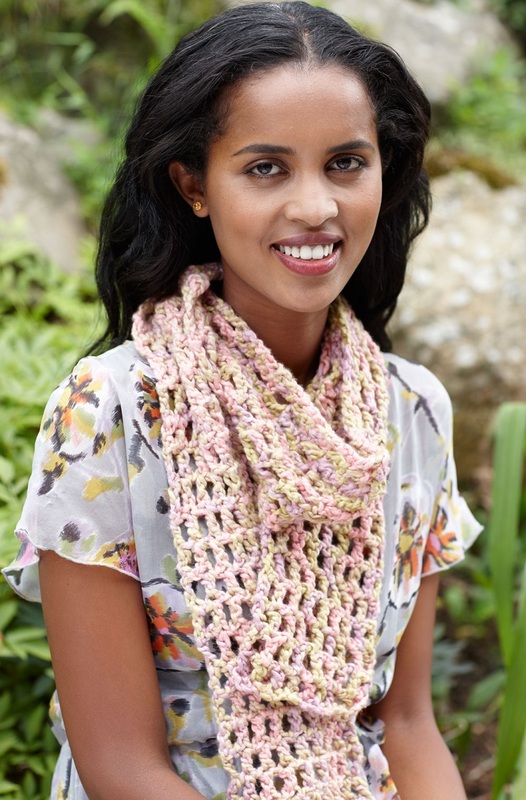 Crocheting different things in pastel colors will help you follow the trend easily and is also budget-friendly. You can make beautiful blankets, bags, scarves, coasters etc. All you need is a little inspiration and free patterns. We have chosen ten patterns in pretty pastels that are fun, creative and easy to follow. Check them out, choose your favorites and start crocheting! Don’t forget to share your finished items in the comment section bellow. Happy crocheting! Sweet is the right word to describe this adorable baby blanket. Pastels are the perfect yarn color choice. 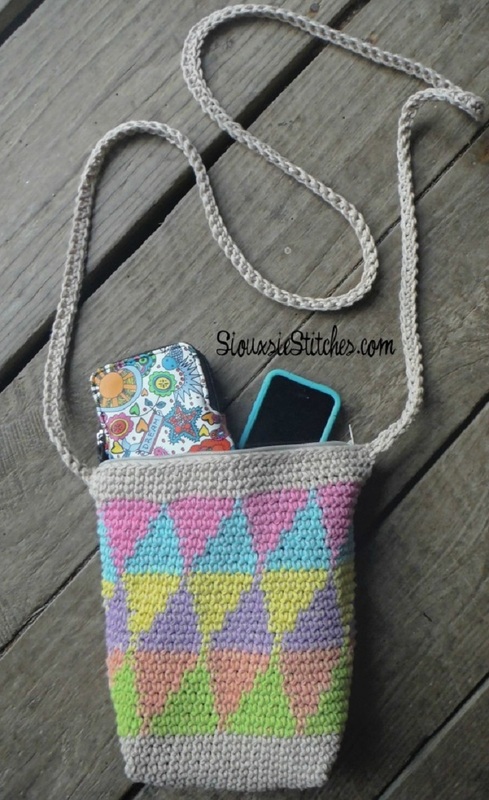 The pattern is actually a classic crochet chevron pattern with a fun texture. Use Bernat yarn as suggested for a cozy and fuzzy look. The pattern is detailed and easy to follow which makes it suitable for beginners. Medium weight cotton yarn in 7 different pastel tones was used for crocheting this adorable bag that is perfect for spring and summer. This bag is created using tapestry crochet in-the-round and is a great project if you like to explore new techniques. The tutorial is detailed and there is a chart that will help you, along many step-by-step photos. 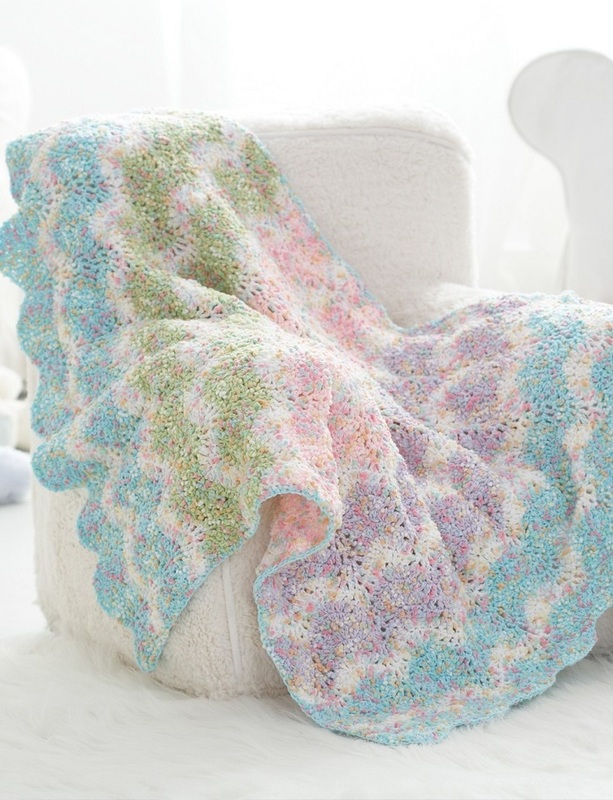 You can use 3, 5 or more colors for making this beautiful wavy baby blanket. 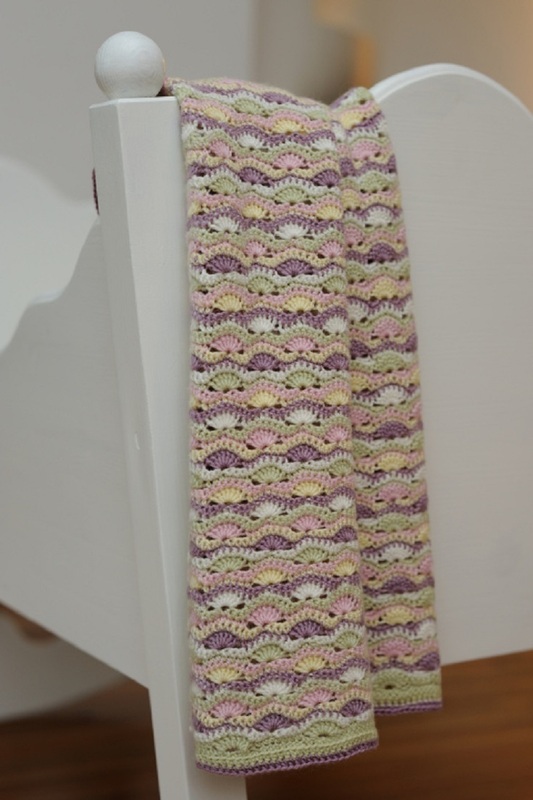 We love the choice of a pastel pallet which is so suitable for a little baby. This pattern is for a baby blanket aprox. size 60*80 cm. It is recommended to use a 4 mm hook. Nothing like a fresh, ice cold lemonade on a hot summer day! 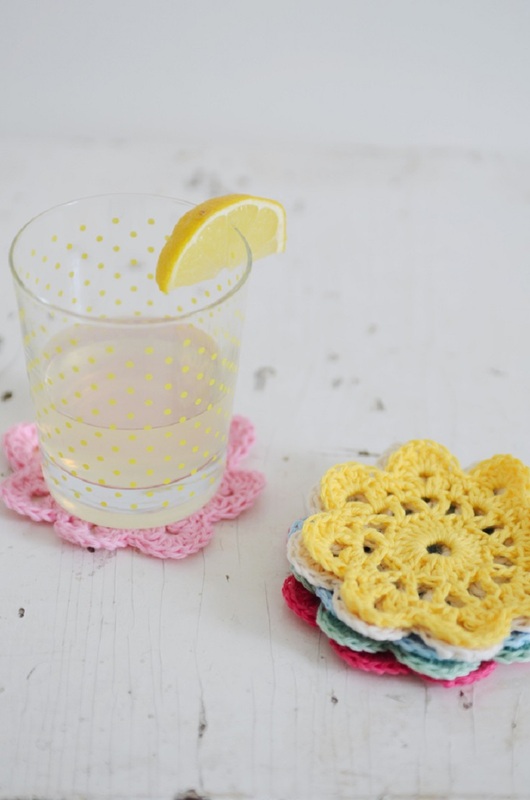 Served on these too cure pastel flower coasters that you can easily crochet from yarn leftovers. Even beginners can easily follow this pattern so don’t be shy to try it out. We recommend using a cotton yarn or any other light-weight yarn. In pastel colors, of course. This doily is a perfect spring addition to your home. It will add a touch of pastels and will look gorgeous with a vase of fresh flowers on top. It is actually a classic doily and you can use any colors you like, but pastels are so in this spring and look absolutely beautiful no matter if your interior design is modern, classic or vintage. We are not sure what we like more – the adorable doilies or all the creative ways you can use them. The shabby chic inspired pastel doilies make a classic decor but can also be used for gift wrapping or as napkin rings. They are so easy to be made you can make tons of them in no time! 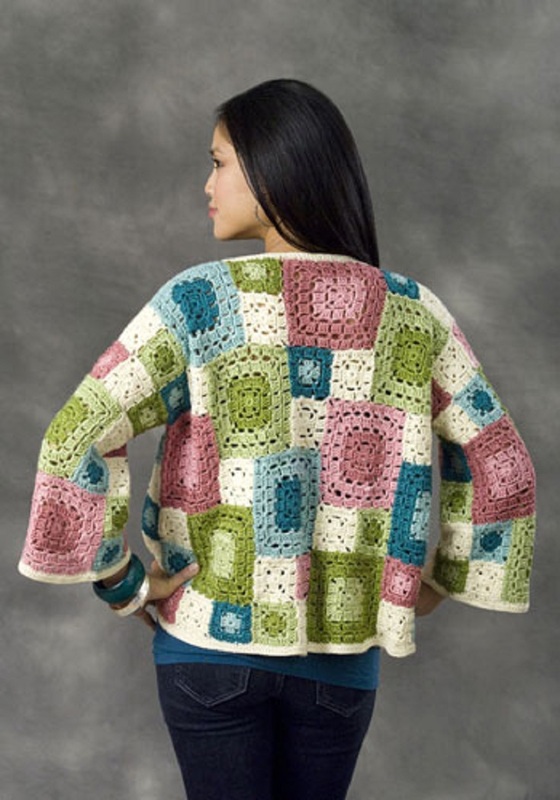 This crocheted jacket is great to have on a chilly spring evening. It is light, yet will warm you up. Not to mention how stylish it looks! The choice of pastel colors is perfect. We also love the design, especially those sleeves. The pattern is free, detailed and printable. 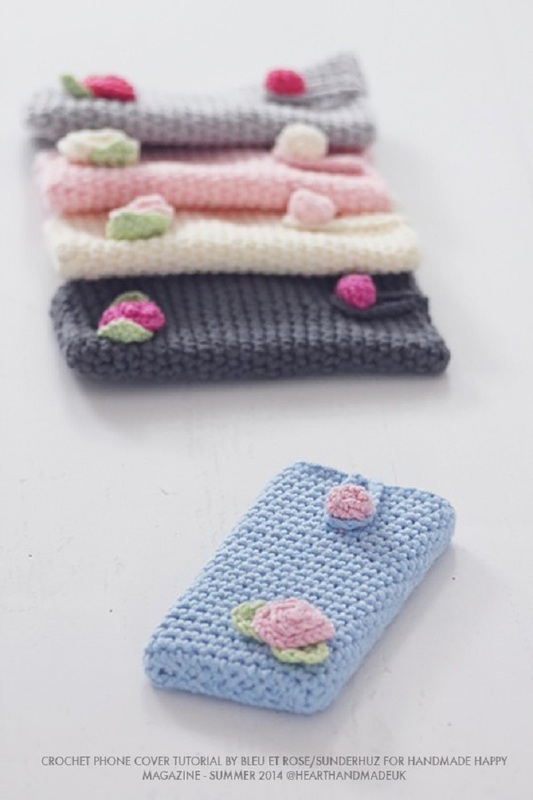 Crocheting and pastels equals a perfect present for a baby. This pattern is for the cutest ever baby sandals and a headscarf that are so simple yet so delicate. We love the subtle flower details and how easy this project is. The size is for 3-6 months. Well, every crocheter appreciates free patterns and this one is so adorable and easy and spring ready you will simply love it at first sight. 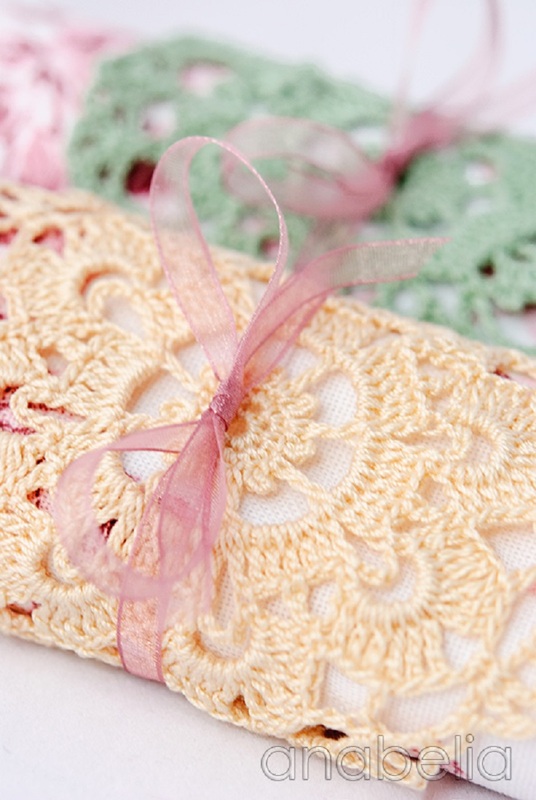 This crocheted iPhone cover is the ultimate accessory and makes an amazing gift. We love the pastel colors and the little floral details. Make sure you use 100% cotton yarn for this project. Thank you ! They are very beautiful! I use t crochet a great deal.